Perhaps running isn’t your thing, or your horse always drags you around the yard. Your vet would love it if you could find a friend to trot your horse up. Not only would it make it much easier for vet to assess your horse but you will be able to see your horse move as well. Us horse owners do love a product, but your vet would really appreciate it if you didn’t coat your horses feet in oil just before a lameness workup or a vetting. 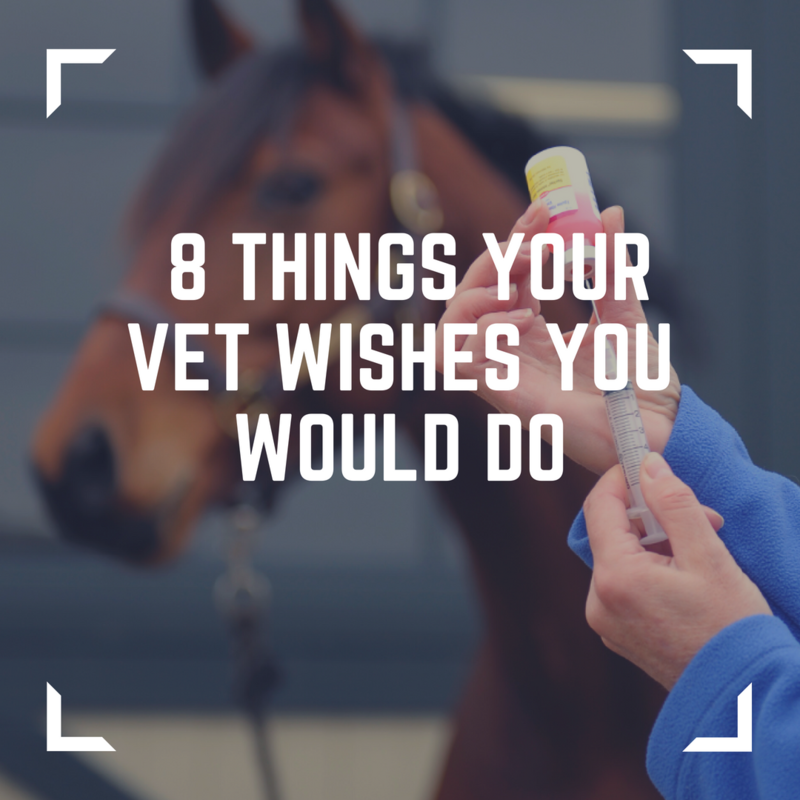 Your vet would very much appreciate it if you could be paying attention whilst you hold your horse. Yes of course it is ‘vital’ that you are updating your status to ‘the vet is here’ but it would be easier for your vet if you put the phone down. Tumeric has lots of anecdotal benefits but it isn’t a magic cure all and can’t replace your vet and all other medications. If you are concerned about anything to do with your horse your vet would much rather you gave them a call. After all they became a vet to help horses. Many of our vets are actually horse owners, and believe it or not they can get in quite a flap when their own horses are ill or injured. Trust me they really are human!